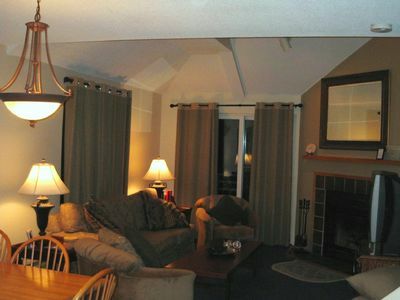 Enjoy this upscale Four bedroom, three bathroom Private home with large wrap around deck. Families and Friends can enjoy the game room located on the bottom floor of the three story home! Pool table, ping-pong, air hockey and foosball tables. 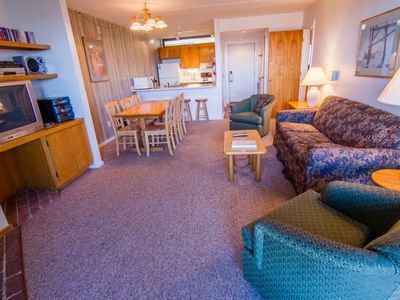 This spacious lodge can accommodate a maximum of 12 people. On the main floor, you will find a king and queen bedroom that share a bathroom with a whirlpool tub as well a second queen bedroom with a full bathroom. Upstairs in the 'kids' room, you will find two sets of bunk beds, tv, vcr and another full bathroom. 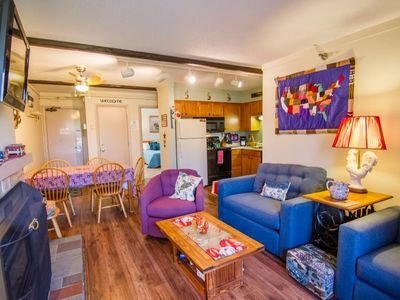 Additional amenities include a queen sleeper sofa in the living room, a futon and private washer and dryer. 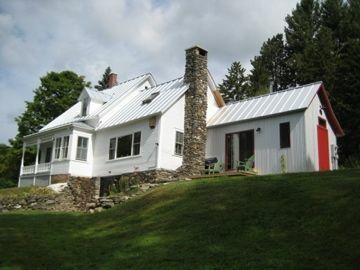 Located in an appealing wooded property a 1/4 mile up the Killington Access road. 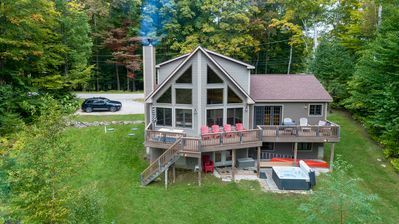 Perfect private home for all families and your favorite traveling companions! 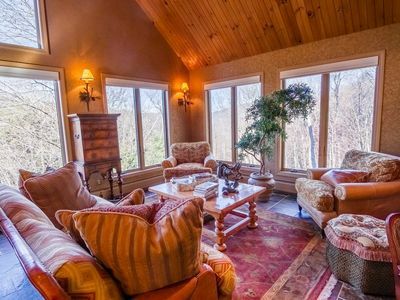 This beautifully decorated lodge is perfect for Skiers, Snowboarders and those who love the beautiful fall foliage. 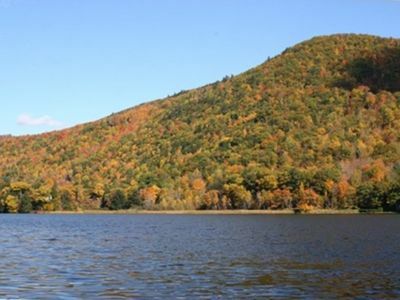 You will also be within minutes to the Gifford Woods State Park, Killington and Pico Mountains. 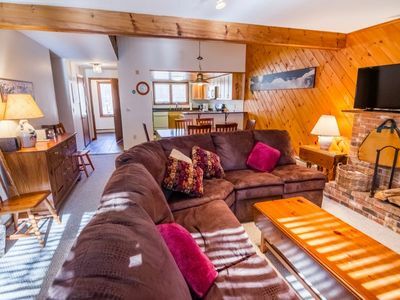 Sunset Lodge will give you all the cozy comforts for your trip to Killington. 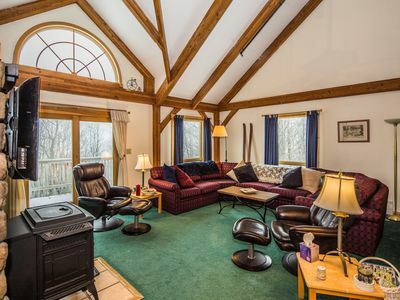 Plenty of comfortable living space sporting exposed beam ceilings, large windows to filter in light to brighten your days and showing off the surrounding wooded view. 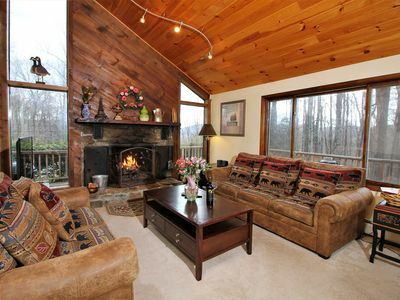 After your day of hitting the slopes you can keep toasty warm by the wood fireplace. Relax while watching your favorite shows on the large flat screen tv or bring your favorite movies using the DVD and VCR players. Enjoy streaming your favorite shows/movies, browsing the internet using the high speed wifi. A beautiful kitchen with granite counter tops, lots of cook ware to enjoy those home cooked meals with your family. To tired to cook? 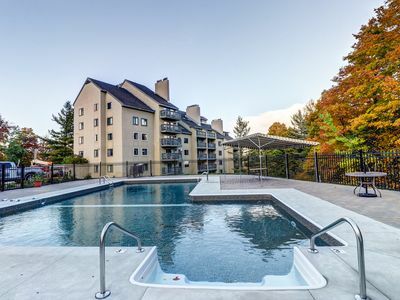 Dont worry you are minutes from the dinning Killington has to offer! Enjoy your mornings at the breakfast bar drinking your favorite cup of coffee or having your big breakfast in the adjacent room that seats eight. Don't worry about doing the dishes, take advantage of loading the dishwasher to clean up so you can head out for your daily activities! 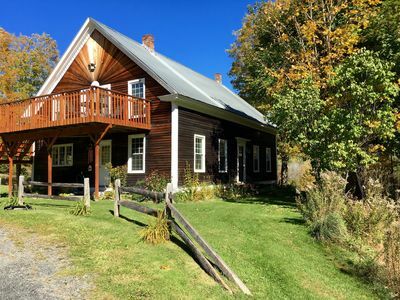 Whether you are in Killington during the warm summers or cooler colorful autumn days and nights, you can keep on making memories with your traveling companions! 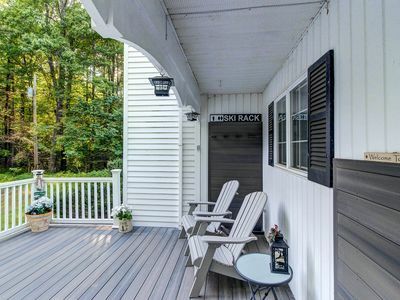 The wrap around deck features an outdoor grill or you can move inside to the private game room for friendly competitions of Ping-pong, pool, foosball and air hockey! 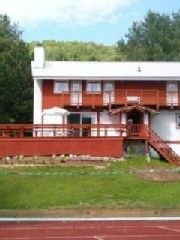 There is abundant recreation Killington offers. 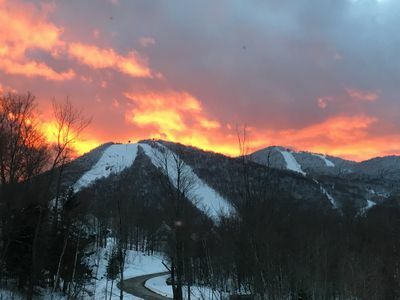 Sunset Lodge is a perfect location to stay to be close to nearby golf courses, Killington' summertime mountain attractions of hiking, mountain bikes, beast coaster, zip line and much more. 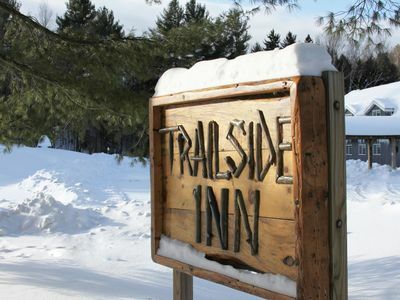 Winter time offers up to 155 Ski trails, 22 lifts and 1500 acres of terrain to explore! So much is offered right out side your door - dont miss out! 50' flat screen TV with surround sound. 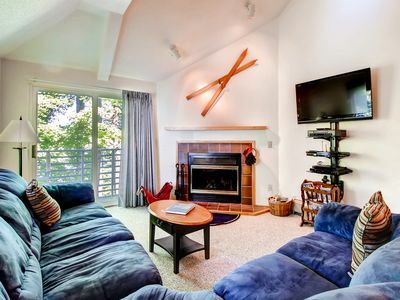 Whiffletree D1 The new furniture makes this a very attractive condo and it is close to skiing, snowboarding, mountain biking and golf. Ski back to condo and tak the shuttle bus to mountain. 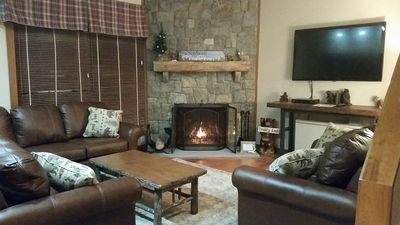 Relax and enjoy this great town house at Glazebrook located a very short distance from the Ramshead base lodge parking lot. A wood burning fire in this fabulous living room is the great way to end the day. 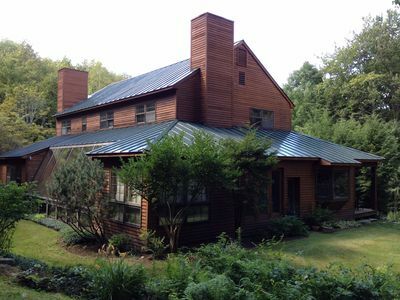 Colonial home with a yard & deck, close to golf & skiing! 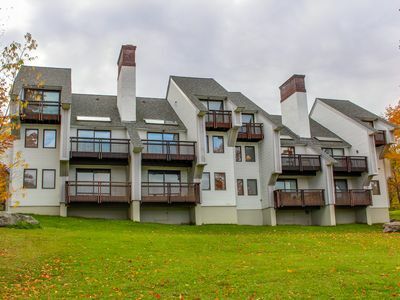 Ski-in/ski-out condo with views & access to a pool, hot tubs, a gym, and tennis! Woods Resort Village 10 nicely decorated, walk to pool, 5 mins to mountain. 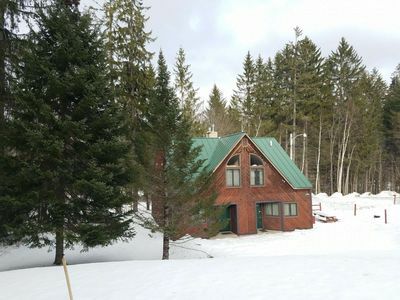 Viewmont Chalet is a wonderful post and beam house with an outdoor hot tub, pool table and close to skiing.